The best training option for all MMA training and grappling workouts. Exclusive Gel Enforced LiningÂ® with added layers of high and low density foam padding offer the ultimate in performance, protection, comfort and security. Gel lining over the knee and elbow are covered with a tough contoured synthetic cover to offer round after round of uninhibited and unrestricted use. 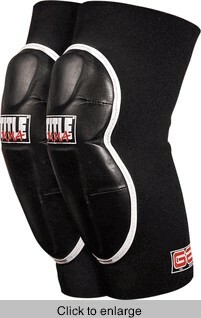 Full 1/8" form fitting neoprene sleeve offers a secure form fit during workouts. Sold in pairs.